Dr. Linda M. Godwin was born and raised in Missouri and graduated from high school in Jackson, Missouri. She received a bachelor of science degree in mathematics and physics from Southeast Missouri State, and a master of science degree and a doctorate in physics from the University of Missouri. Dr. Godwin joined NASA in 1980. Selected by NASA as an astronaut candidate in June 1985, Dr. Godwin became an astronaut in July 1986. A veteran of four space flights, Dr. Godwin has logged over 38 days in space, including over 10 EVA hours in two spacewalks. 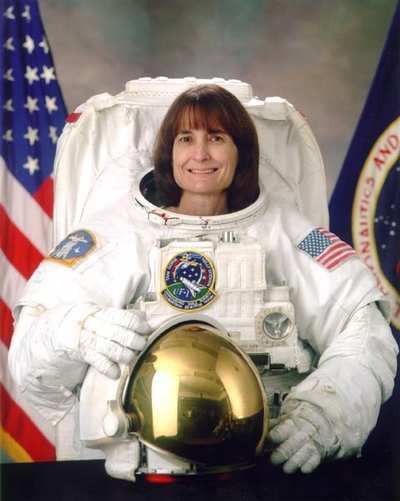 In 1991 she served as a Mission Specialist on STS-37, was the Payload Commander on STS-59 in 1994, flew on STS-76 in 1996, a Mir docking mission, and served on STS-108/International Space Station Flight UF-1 in 2001. Dr. Godwin retired from NASA in August 2010. She returned to the University of Missouri in 2011 as a professor in the Department of Physics and Astronomy. The Linda Godwin Center for Science and Mathematics at Southeast Missouri State University is named in her honor.